Join us for our weekly ladies night giveaway! 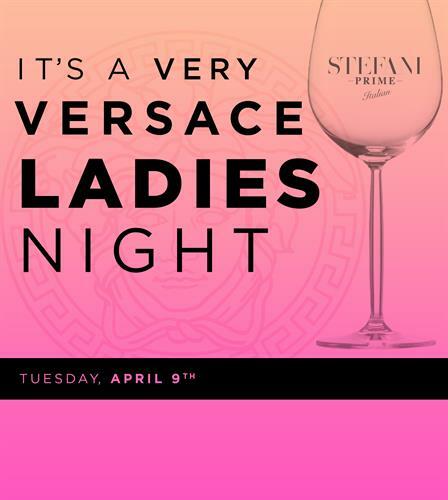 Tuesday, April 9th will be extra special as we will be giving away a Versace handbag to one lucky winner! Entries must be submitted by 8:15pm and the raffle takes place at 9:15pm and you must be present in order to win.